Be the first to share your favorite memory, photo or story of Alex "Al". This memorial page is dedicated for family, friends and future generations to celebrate the life of their loved one. Alex C. Papianou, age 83, passed away peacefully on Thursday, November 15, 2018. He was the son of the late Christy and Elizabeth (Pryhoda) Papaioannou. Al was born on September 1, 1935, in Woonsocket, RI. He graduated from Woonsocket High School and Worcester Polytechnic Institute (WPI) where he joined Theta Chi fraternity; later he earned Master’s Degrees from Northeastern University and Suffolk University. He proudly served his country in the U.S. Army Signal Corps. Al married his wife Marcia (Lawson) on September 14, 1957, in Graniteville, VT. He started his career as a chemical engineer for Texaco in NJ and later worked in sales and marketing for The Foxboro Company, Worcester Valve, and Masoneilan; he operated his own manufacturers' representative business, Valtron, for 10 years. He regularly contributed op-ed pieces to the Foxboro Reporter. He was an avid golfer. He was very active in WPI's alumni affairs. He was an active member of Bethany Congregational Church, the Serenading Seniors, and The South Shore Writers Club. 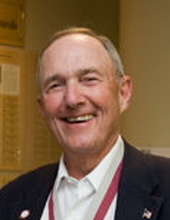 He authored several books: Tolia's, Oogg and the Claret Jug, Woonsocket Born, and the forthcoming Woonsocket Bred. Al loved to make people smile. He most enjoyed spending time with his family. He was a loving and devoted husband, father and grandfather. Beloved husband of Marcia (Lawson) Papianou. Devoted father of Beth and her husband Michael Giobbe of Framingham, David and his wife Kristin Papianou of Foxborough, and Todd Papianou and his wife Karen Wilson of Rumford, ME. Loving grandfather of Madison, Colin, and Owen. Beloved brother of George Papaioannou and his wife Dianne of Idaho Falls, Idaho. Relatives and friends are kindly invited to attend calling hours on Saturday, December 1st, from 1 to 4 PM at the Roberts and Sons Funeral Home, 30 South Street, Foxborough. A funeral service will be held on Sunday, December 2nd, at 1 PM at the Bethany Congregational Church, 3 Rockhill Street, Foxborough. For additional information please contact (508) 543-5471. To send an online condolence, please visit the funeral home web site www.robertsandsonsfuneralhome.com. In lieu of flowers donations in Al’s memory may be made to the Foxboro Discretionary Fund, PO Box 636, Foxborough, MA 02035 or the WPI Class of 1957 Excellence Scholarship Fund, WPI, ℅ University Advancement, 100 Institute Road, Worcester, MA 01609. "Email Address" would like to share the life celebration of Alex "Al" Papianou. Click on the "link" to go to share a favorite memory or leave a condolence message for the family.